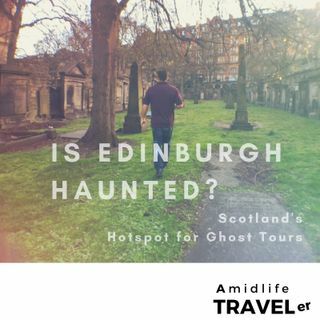 Did you know Edinburgh is one of the most haunted cities in the world? Neither did we. Hear about this gem, plus get the inside scoop on the ultimate vacation plan tool: Get Your Guide (GYG). Barely known to US travelers (but big in Europe!) GYG is a treasure chest of things to do worldwide from big attractions to small local authentic tours... like ghost tours, and whiskey tours, brewery tours, food tours, history tours, beach tours, hiking tours, walking tours....and on.